The votes are in for the best in Seattle! 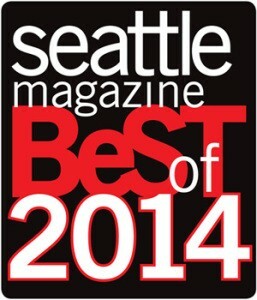 Dr. Shahram Salemy wins the “Best Cosmetic Surgeon” in the Seattle Magazine Reader’s Choice Poll for 2014. The poll is decided by residents themselves honoring their favorite Seattle businesses. Thanks to all of Dr. Salemy’s patients for their votes and support of his practice!